Posada Amazonas Lodge: 17 km (2 hours) from Puerto Maldonado along the Rio Tambopata. 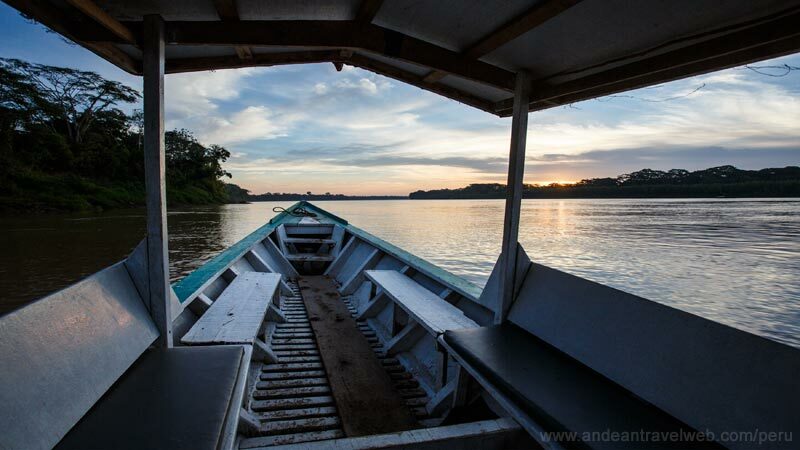 Refugio Amazonas Lodge: 80 km (5 hours) from Puerto Maldonado. 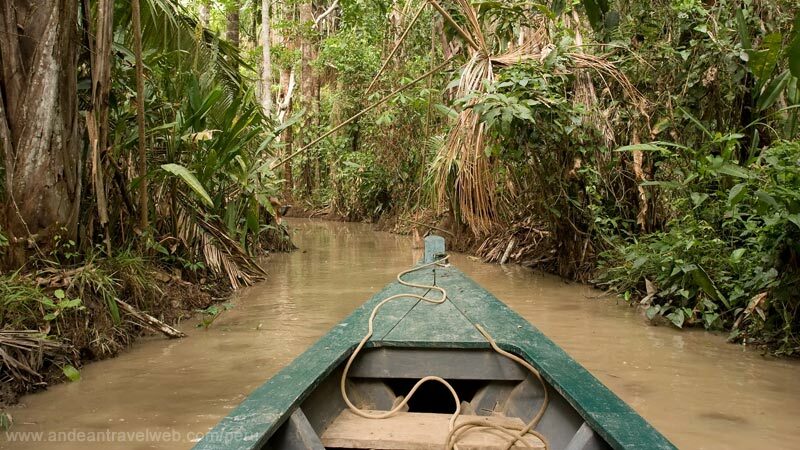 Tambopata Research Centre: 110 km (7 hours) from Puerto Maldonado. www.inkanatura.com Offices in USA and Lima. Owners of the Sandoval Lake Lodge 2 hours by boat down the Madre de Dios, 3 km hike to Lake Sandoval, 30 min by canoe across the lake. Offer a 3 day / 2 night tour. Also operate the Heath River Wildlife Center which is about 6 hours by boat from Puerto Maldonado (4 hours down the Madre de Dios followed by 2 hours up the Heath River. Usually combined with a night at the Sandoval Lake Lodge to break up the long boat ride. www.ecoamazonia.com Lodge Operate daily tours to their EcoAmazonia Lodge about 30 km (2 hours) along the Madre de Dios River. www.pantiacolla.com Calle Garcilaso 265, Interior patio, 2nd floor office 12, Cusco. Tel 084 238323 Open 9am-1pm & 4-8pm Mon-Fri, 9am-1pm Sat, Closed Sun. Camping tours to Manu run by Dutch biologist. www.manuexpeditions.com Jiron Los Geranios 2-G, Urbinizacion Mariscal Gammara 1ro Etapa, Cusco. Tel 084 225990 Owned by ornithologist Barry Walker, part owners of the Manu Wildlife Center, they offer 4-9 day trips to Manu in Safari camps and lodges and specialize in bird watching trips. www.manuperu.com Avenida Pardo 1046, Cusco. Tel 084 252721Run lodge-based trips and are owners of Manu Lodge. Recommended for experiencing the jungle in comfort. www.inkanatura.com Offices in USA and Lima.Trips to Manu. Part-owners of the Manu Wildlife center. www.sastravelperumanu.com Calle Garcilaso 270, Cusco. Tel 084 249194Well-established adventure tour operator offering trips to Manu, small group sizes. www.manuvilcaperu.com Calle Plateros 359 (just off the Plaza de Armas), Cusco Tel 084 244751Budget tours to Manu of mixed quality. www.explorama.com The largest and longest established jungle tour operator in Peru's northern jungle. Offering 5 different lodges including access to the famous canopy walkway situated 30m above the rainforest floor. www.muyana.com 120 km from Iquitos on the Yanayacu river just before San Juan village. Lodge activities are fairly flexible and include birdwatching. 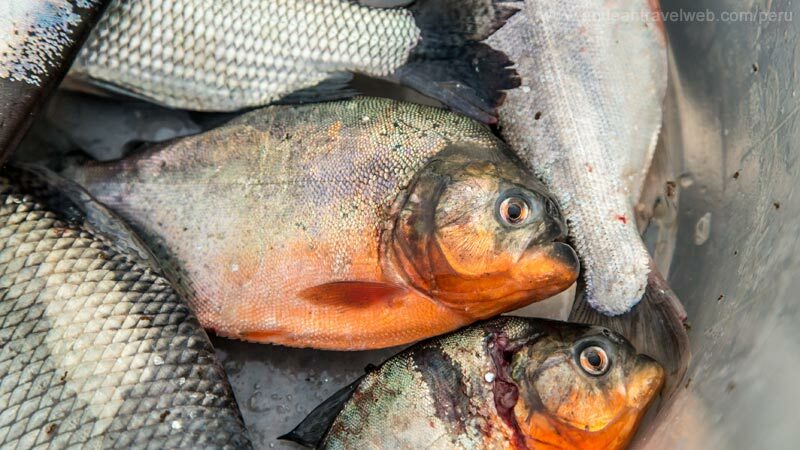 native community visits, shaman ceremonies and piranha fishing. www.pacayasamiria.com.pe Located upstream from Iquitos (190km) on the banks of the River Maranon. The lodge lies on the outskirts of the Pacaya-Samiria reserve but can arrange trips to within the reserve.